How long before the deposit scheme arbitration services collapse under the sheer volume of cases as landlords try to do it themselves and fight for every penny? The fee ban will have far reaching consequences, not least the number of landlords cutting corners to mitigate additional cost. Had organisations such as ARLA & NALS & RICS stood up for their members and put up a fight we might not be in this situation! The whole BTL has been effectively killed off. Yep the fee ban will have many consequences intended or otherwise. The major one being rent increases in excess off what would have been the case. So as a tenant would I prefer to have my rent increased by £50 to cover the charges which of course continue after 6 months if I choose to stay? So if I stay for a year I will have paid £600 in tenant fees rather than paying just £300 up front!!!!! Do politicians really believe that the LL is going to take the hit for the fees that tenants used to pay!!?? Silly old politicians thinking their politicking is going to reduce costs for tenants. The TENANT must and will ALWAYS pay these costs. A tenant fee cap might have been more appropriate. The ban is plain silly. But after the fee ban occurs rents will start to increase more than they would have done without the fee ban. This has been the Scottish experience after their fee ban. My response to this tenant fee ban is that I will state that NO tenant will be considered unless they have their own TRP sourced from one of the reputable TRP providers like LRS. If the tenant applicant refuses to obtain their TRP and a LL CAN'T force the tenant to do so it just means that the LL will NOT consider that particular tenant applicant. NO tenant can force a LA or LL to pay for referencing because they express an interest in a particular rental property. Of course there is an extreme advantage for tenants who do have an up to date TRP with potential RGI qualification. Such applicant tenants will be considered way before any other tenant who has not bothered to obtain their TRP. A TRP is a far cheaper and more effective referencing methodology for tenants. It costs LL and LA NOTHING!! A Tenant only needs ONE TRP which can be touted round to as many LL or LA as the tenant desires. The market will by default give first choice to those tenants who present a valid TRP with possible RGI available and all for a one off cost of about £120. So the Tenant fee ban WON'T effectively ban fees. will make things a lot cheaper for tenants who will no longer need referencing with every LA and LL they visit. The TRP should enable far faster letting of properties as the TRP has carried out all relevant referencing before the tenant walks through the door. 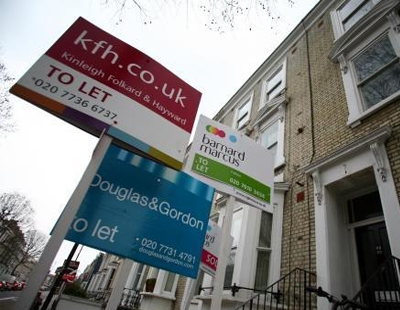 The TRP could well enhance the speed of lettings which can be no bad thing. Those tenant applicants that believe they WON'T need to pay fees anymore couldn't be more wrong!. But one TRP valid for 3 months for about £120 per person able to be used with multiple LA and LL is an absolute bargain!! !